The information provided below illustrates the manner your protected health information could be accessed and released and what you need to know about this process. This important document should be reviewed thoroughly. Managing the privacy of your protected health information is extremely important to Southern Oregon Dental Health and Hygiene Group, LLC. 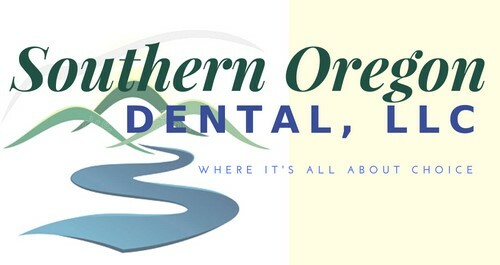 Southern Oregon Dental Health and Hygiene Group, LLC Legal Responsibilities: As mandated by Federal and State legal requirements your protected health information must be protected. As part of these regulations we are required to ensure you are aware of privacy policies, legal duties and your rights to your protected health information. This notice of privacy policies, outlined below, will be in effect for the duration and must be followed by our practice. This notice will be in effect until it is replaced and becomes effective 04/14/2003. We reserve the right to modify our privacy policies and the terms of this notice at any time, and will make such modifications within the guidelines of the law. We reserve the right to make the modifications effective for all protected health information that we maintain, including protected health information we created or received before the changes were made. Changing this notice will precede all significant modifications. This notice will be available upon request. Copies of this notice are available at your request. For your convenience information regarding how you can contact us is at the bottom of this notice. PROTECTED HEALTH INFORMATION USE AND DISCLOSURE: Information regarding your health may be used and disclosed for the purpose of treatment, payment and other healthcare operations. Examples cited below further explain the use and disclosure process. Treatment: Use and disclosure of your protected health information may be provided to a physician or other healthcare provider providing treatment to you. Healthcare Processes: We may use and disclose your protected healthcare information in relations with our healthcare process. These processes include an assessment, improvement activities, reviewing the competence or qualifications of healthcare professionals, provider performances and evaluating practitioner, conducting training programs, accreditation, certification, licensing or credentialing activities. Your Authorization: At any time you may provide in writing your authorization for use and disclosure of your protected health information for any purpose. You may choose to revoke your written permission at any time. The revocation must be in writing. If you revoke your written authorization it will not affect any use or disclosure prior to the revocation. Your protected health care information may be used and disclosed to you, as described in the patient rights section of this notice. In addition, your protected health information may be used and disclosed to a family member, friend, or other person to the extent necessary to assist you with your healthcare, but only with your authorization. Person Involved in Care: In order to accommodate the notification of your location, your general condition, or death, your protected health information may be used or disclosed to a family member, your personal representative or another person responsible for your care. If you are present and wish to object to such disclosures of your protected health information you may do so. To the extent you are incapacitated or emergency circumstances exist, we will disclose protected health information using our professional judgment disclosing only protected health information that is directly relevant to the person’s involvement in your healthcare. We will use our professional judgment and our experience with common practices to make reasonable inferences of your best interest in allowing a person to pick up filled prescriptions, medical supplies, x-rays, or other similar forms of protected health information. Marketing Health-Related Services: The use of your protected health information for the purpose of marketing communications is prohibited without you’re written authorization. Abuse or Neglect: As required by law, if we have reason to believe that you are the victim of possible abuse, neglect or domestic violence or other possible crimes, your protected health information may be disclosed to the appropriate authorities. If we have reason to believe the use or disclosure of your protected health information will prevent a serious threat to your health or safety or the health or safety of others we may have to provide the necessary protected health information. National Security: Under some circumstances the military may require disclosure of health care information for armed forces personnel. For the purpose of national securities activities, counter intelligence and lawful intelligence, authorized federal authorities may require disclosure of protected health information. Protected health care information disclosure may be made to correctional facilities or law enforcement authorities with the lawful authority requiring custody of such information. Appointment Reminders: Your protected health care information may be used to assist you with appointment reminders in the form of voicemail messages, postcards, or letters. Access: At all times you have the right to review your protected health information, with limited exceptions. At your request, we will provide your information in a format other than photocopies. If we are able to do so we will accommodate your request. Your request to obtain access to your information must be in writing. You may obtain a Protected health information Access Form by using the contact information at the end of this notice. We may need to charge you a reasonable cost-based fee for expenses including copies and staff time. You may also request access for submitting a letter using the information at the bottom of this notice. If you request copies, we will charge you $2.00 for each page and $20.00 per hour for staff time to locate and copy your protected health information. Postage will be included if you wish to have your information mailed. If you request a format option, which is different, we will charge a cost based fee for that format. An explanation of fees can be made available. Disclosure Accounting: Your rights include the choice to receive a review of every time we or our business associates disclosed your protected health information for reasons other than treatment, payment, healthcare information and certain other activities for the last six years but not before April 14, 2003. Additional reasonable cost based fees may be extended if your requests for such information are more than one time per year. Restrictions: You may request we apply additional restrictions to any disclosure of your health care information. We are not required to respond to the application of these additional restrictions. If we agree to follow your request regarding additional restrictions we will follow the agreed restrictions unless an emergency situation dictates otherwise. Alternative Communication: Your rights include the instruction to request how you are communicated to regarding your protected health information. Your request must be in writing and can spell out other ways or others locations regarding your protected health information communication. You must identify agreed upon explanations of payment arrangements under alternative communications. Amendment: You can initiate a written request to amend your protected health information. Included in the amendment must be an explanation why information should be amended. Certain conditions may exist where we may reject you request. More information is available to you regarding our privacy policies, please contact us. If at any time you are unsure or concerned that your protected health information has not been protected or if you believe an error was made in the decision we made about accessing your protected health information; or in the response to a request you made to amend the use or disclosure of your protected health information; or to have us communicate to you by an alternative means or at an alternative locations, you have the right to bring this issue forward. You may make a complaint to the U.S. Department of Health and Human Services. We will provide you with the address to file your complaint with the U. S. Department of Health and Human Service at your request. Privacy of your protected health information remains extremely important; we are committed to ensure your privacy. If you file a concern with the U.S. Department of Health and Human Resources we will not retaliate in anyway. We are available to assist you with any questions, concerns or complaints.